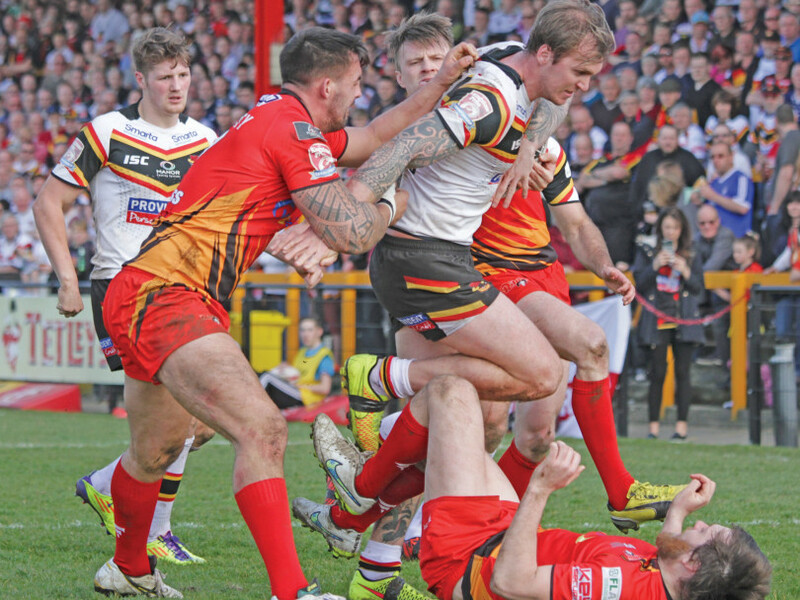 DEWSBURY RAMS centre Lucas Walshaw has made his loan move from Bradford Bulls permanent and will also act as the club’s new development officer. Coach Glenn Morrison has also been boosted after veteran Mitch Stringer, who arrived from Sheffield Eagles midway through last season, penned a new deal to stay at the Tetley’s Stadium. The duo join 15 others who have pledged their futures to the Rams. Those players are Toby and Luke Adamson, player of the season Josh Guzdek, Aaron Brown, Jason Crookes, James Glover, Scott Hale, Andy Kain, Donald Kudangirana, Dale Morton, Dom Speakman, Rob Spicer, Paul Sykes, Jack Teanby and Tony Tonks. But the Rams have said goodbye this week to co-captain Ryan Hepworth and Paul Jackson, who have retired from the game, and Nathan Conroy who has signed a deal to join League One side Keighley Cougars. Matt Groat’s stay in Dewsbury lasted just 12 months after the powerful forward decided to return to Australia. Elsewhere the Rams have quickly appointed a new conditioner in a bid to prevent another injury-ravaged season. Former York City Knights and Keighley Cougars player Adam Mitchell is the man who has joined Morrison’s back-room staff. The Aussie coach said: “We identified the need for a conditioner early in the season and I thank (chairman) Mark Sawyer for putting some of our budget towards this for next year. “I have interviewed a number of applicants and I’m very happy to appoint Adam. “He is an ex player so he knows how players’ bodies react. He has made a great transition into sports coaching and comes highly rated.